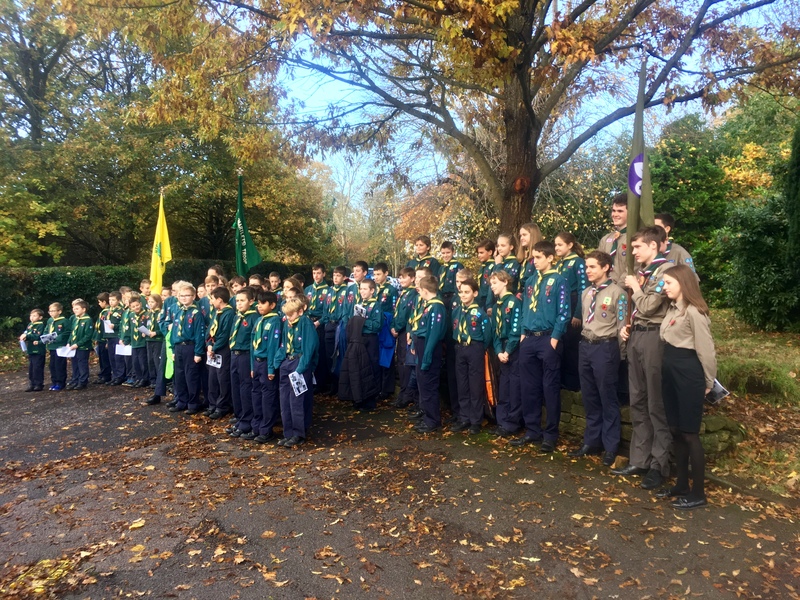 Each Remembrance Sunday, Scouts in cities, towns and villages across the UK show their support for the sacrifices made by our servicemen and women. This year is made all the more poignant for the fact that that 2018 is the centenary of the Armistice, bringing an end to the First World War. 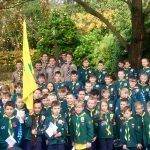 As Britain entered the First World War on 4 August 1914, Robert Baden-Powell – founder of the Scout Movement – volunteered Scouts to support the war effort. They weren’t to have a military role but could undertake work that released men for service in the armed forces. 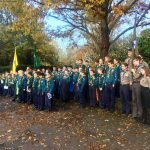 The skills learned through Scouting proved very useful in carrying out a range of jobs, including working on farms, delivering messages, watching coastlines, fetching hospital supplies, and guarding railway lines. 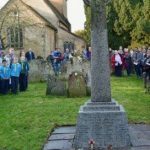 Towards the end of the war, Scouts worked with the Commonwealth War Graves Commission to help keep records of where the fallen were buried. Cubs carried out work knitting socks and stuffing pillows for wounded soldiers, and with many mothers taking up new jobs to help the war effort, were also encouraged to learn skills for helping out at home. 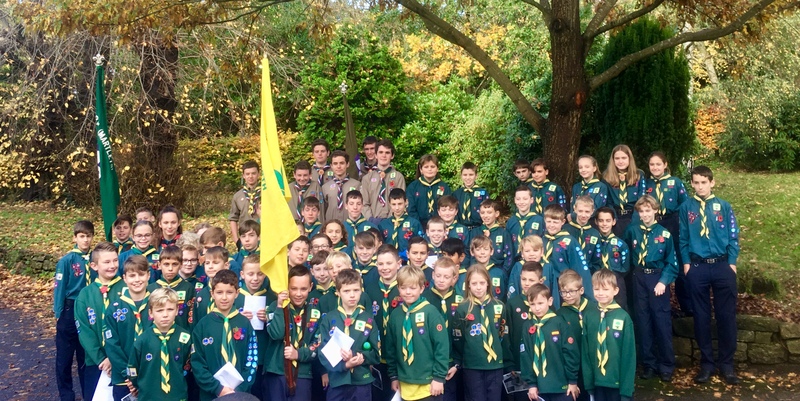 A number of groups from across Crawley attended services at local churches to mark this occasion. 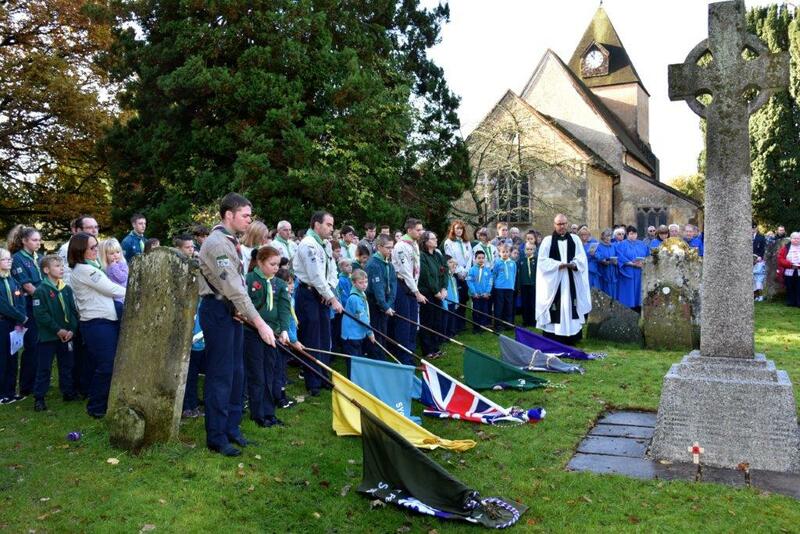 On Remembrance Sunday (11th November) the residents of Ifield, the congregation of St Margaret’s Church and 2nd Ifield (St Margaret’s) Scout Group gathered around the war memorial in Ifield churchyard for two minutes silence, the last post and reveille, wreath laying included prayers, remembering those who had died in wars and for peace. 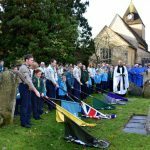 The ceremony at the war memorial was preceded by a service in St Margaret’s Church attended by 100 Scouts plus their families. 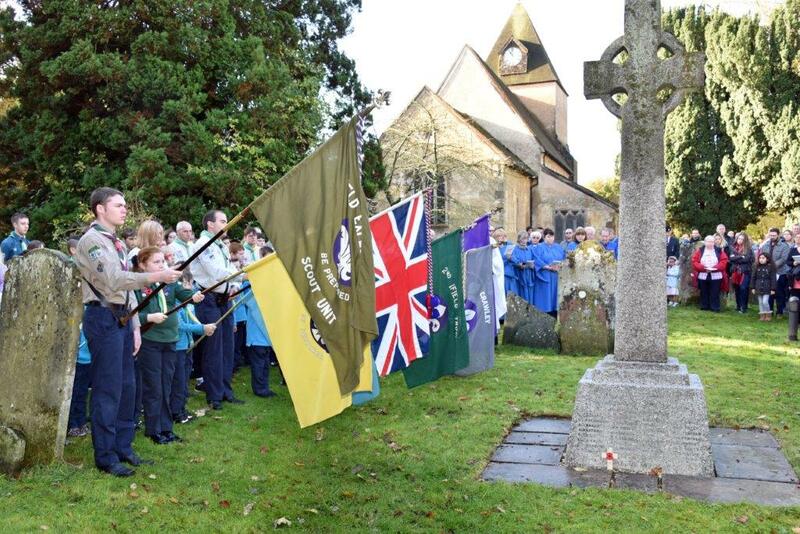 The silence at the war memorial was followed by the regular Sunday service in the Church. The Rector of Ifield, Revd Simon Newham, took both the services. He reflected on the lives of men and women who had joined the forces during the First World War, which ended 100 years before the services. 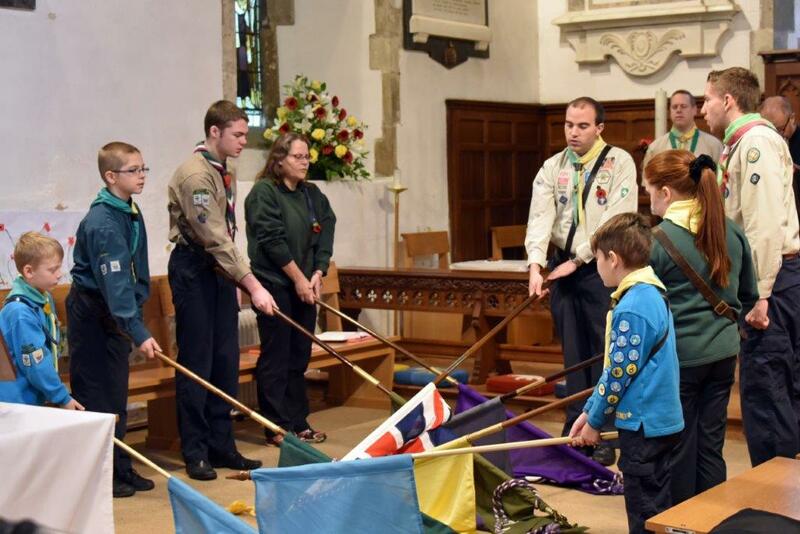 Brian Eastman, Group President for 2nd Ifield Scouts, congratulated members on the smart turnout of Beaver Scouts, Cub Scouts, Scouts, Explorer Scouts and the Scout Network both in church and at the war memorial. Photos taken by Scott Wheeler. 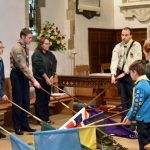 Earlier today 4th Worth attended several services today, with Cubs, Scouts and Explorers present at St Nicholas’ church (Worth) and Beavers and Cubs at St Richard’s church (Three Bridges). 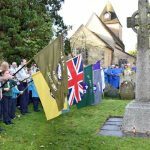 The service at St Nicholas’, led by a superb choir, really involved the members of the younger sections, with readings and prayers given and names of the fallen read by youth members. A very relevant and inspiring sermon was delivered by Father Michael Boag, before a 2 minute silence was observed.